PHP is perhaps not one of the sexiest programming languages that someone might rush to learn, but it still has one big claim to fame. It is the programming language upon which the blogging software WordPress was constructed. WordPress powers 5% of the sites on the Internet, as well as supporting HTML5 and CSS. So you could say that PHP is important. But compared to say Ruby or Python, it may come across as a little bit boring. What doesn’t improve matters is that employer demand is less, with salaries lower than for other languages. But you can still get a good job with a top notch company such as Facebook or IBM. 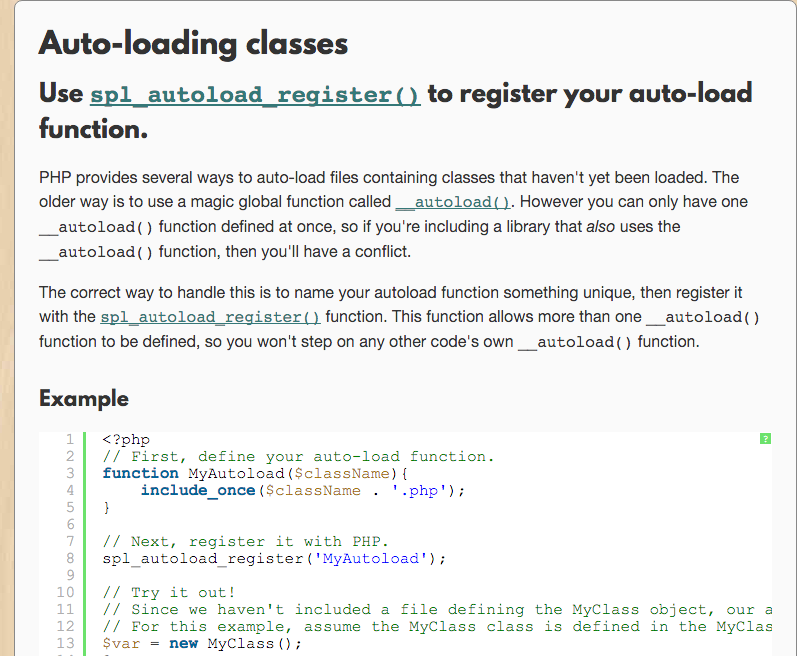 So PHP is still worth learning if you have the time and inclination. And it is a relatively easy language to learn to boot. Here are 5 great PHP learning resources that will have you creating WordPress website themes and plugins in no time at all. 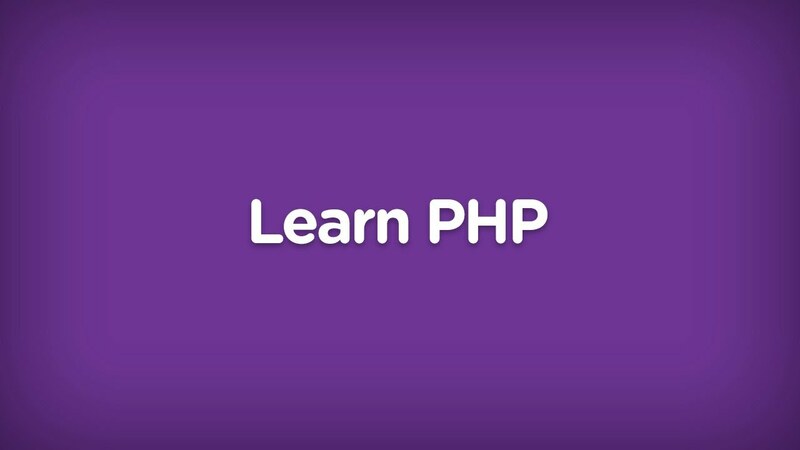 PHP’s home on the net naturally brings with it a detailed user tutorial on how to get started with the language. Once you get all of the required programs set up (such as Apache and MySQL), then it launches right into your first piece of PHP code. No messing around, no wasting time. Once you have done the starter tutorials, then it’s time to tackle the much heftier manual. Some of this stuff can be a bit intimidating, so it might take you some time to fully work your way through everything. This is not something which can be done in only a few sittings. But remember, the beauty of PHP is that you have a global WordPress community behind you. Whatever questions you have, other people have had in the past. So just Google your questions, and 9 times out of 10, you will find your answer. If reading text is not making the knowledge sink in, and you are more of an audio person, then YouTube tutorials are probably more your thing. PHP tutorials are pretty common on YouTube, but one playlist which I have found quite easy to follow is this one. Video and sound quality are excellent, and the narrator explains things in a very clear pleasant English accent. He’s very good at explaining the various aspects of PHP, so you may find that you make more progress with this playlist than with any other tutorial on the web. 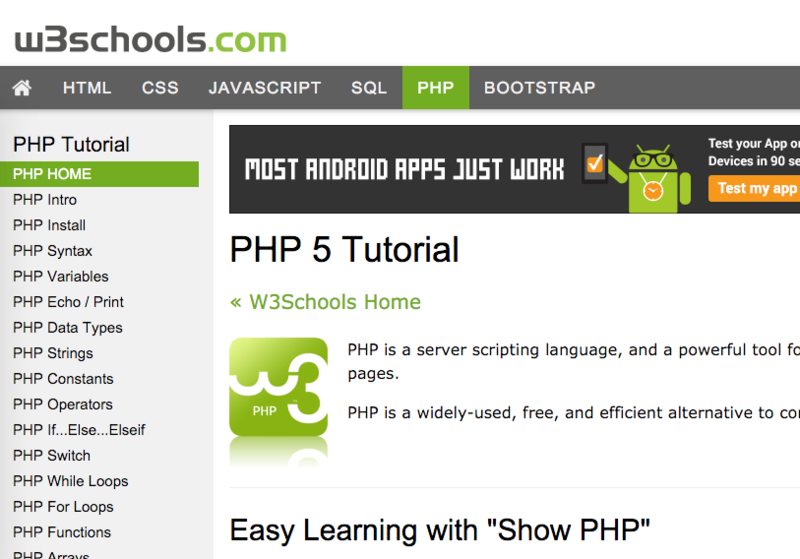 W3 Schools is one of the most well-known places on the web when it comes to programming languages. So it’s no surprise then that their PHP section is jam-packed with useful information, and is a must-visit location on the web. As the site methodically takes you through each PHP term, and shows you how to code with it, you are continually quizzed on what you have just been taught. So you are constantly tested to see if you are understanding what you are being told. As with other programming tuition sites, when you are shown a piece of code, you are given the opportunity to “run it”. Clicking the button places the code in a code editor window and you can then view the output. This is also a good way of understanding what you are being shown. Practical demonstrations trump dry lectures anytime. W3 Schools will also certify you in your chosen programming language for $95, which could be the best investment you ever made, if you are relying on that PHP training to secure your dream job. If you are building a site in PHP, then having scripts can make your site act in various ways, as well as give it various features. For example, you can give your site a calendar, integrate a shopping cart, or give your site a link checker. Really, the sky’s the limit when it comes to scripts. You only have to look at the WordPress plugin directory to see what is possible. 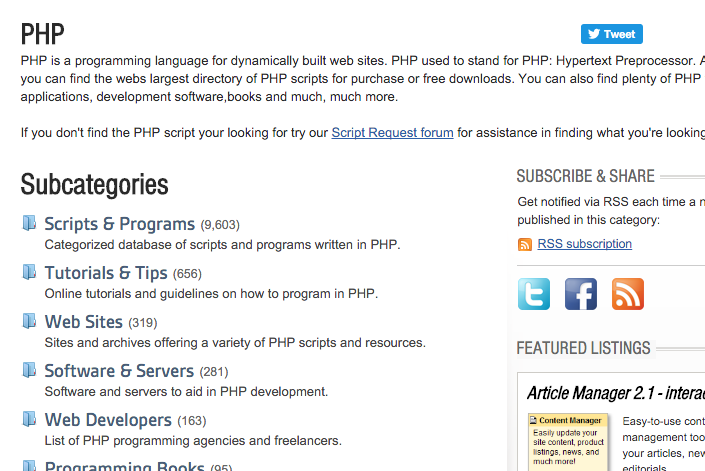 PHP Resources provides you with a list of scripts which you can download for your PHP-powered site. Some of the scripts are free, while others are paid. The site also offers design templates and plugins, again both a mixture of free and paid. Some PHP tasks are relatively straightforward but there are also a great deal many which are not so easy to follow. PHP Best Practices focuses on the tasks which might have you cursing a little bit under your breath, and tries to explain them in a way that you are likely to understand. This could be anything from hashing user passwords (absolutely essential in this day and age of hackers and security breaches), auto-loading classes, validating email addresses, and UTF-8. You don’t know what UTF-8 is? Then it sounds as if you need this website then. PHP gets a bit of a bad rap sometimes because of all the “bad code” floating around out there in places like WordPress templates. Since beginner coders are sometimes copying the mistakes of other developer coders, and then putting their own versions out on the web, problems pile on top of other problems until you are left with what some people have called “atrocious code”. But PHP has its place, both in social networks and blogging platforms, as well as databases. The demand from employers may be less, but the need for PHP isn’t going to go away anytime soon. 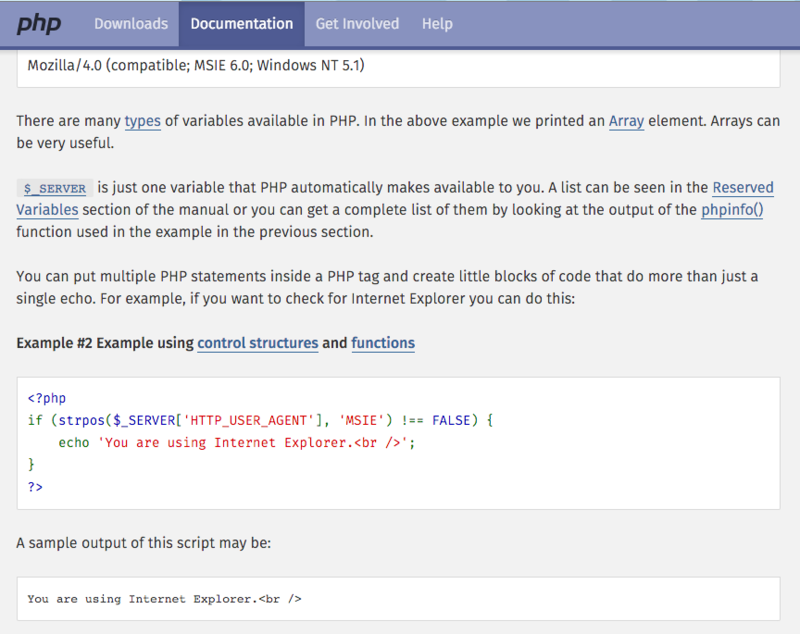 PHP is the very easy programming Language . These Sources are really very good to know basic knowledge of PHP.